Since their introduction into Europe in the 16th century, camellias have thrived in Portugal, particularly in the north of the country where they feature prominently in almost every garden and green space, creating a wonderful floral display from late winter to spring. Join us on this tour and experience this colorful spectacle as we search out the best spring and historic gardens in this fascinating country, including exquisite palace gardens, old country estates, and private manor house gardens that seldom feature on tours. 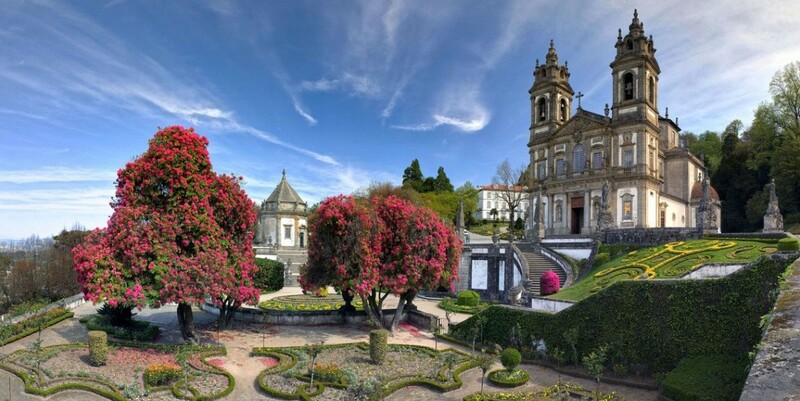 Highlights include the romantic gardens at Quinta de Villar d’Allen, a private estate with some of the oldest camellias in Portugal; Casa do Campo, with its weird and wonderful camellia topiary; Solar de Mateus, a magical Baroque manor house and parterre garden; and Fronteira Palace, home to an elegant 17th century grand garden with an unforgettable tiled ornamental water tank and viewing gallery. In the course of our travels we get off the beaten track, visit timeless medieval villages and towns, taste wines from some of Portugal’s finest estates, sample highly rated regional cuisine, and stay in comfortable first class accommodations of character and charm in Porto, Amarante, and Lisbon.